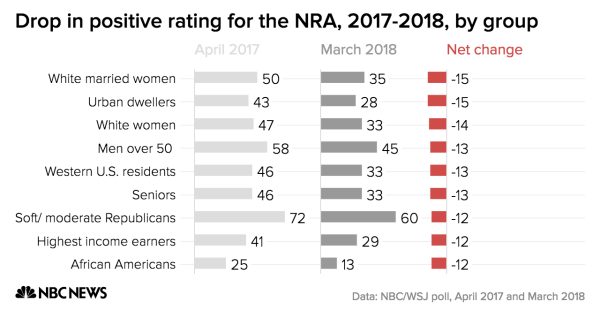 In this morning's First Read, we wrote that the NRA's positive rating has dropped significantly since last year. According to our NBC/WSJ poll, more Americans now have a negative view of the pro-gun organization than a positive one for the first time since before 2000. The NRA has notably lost ground among key groups, including white married women and urban dwellers. But it's also seen a dip in popularity among seniors, more moderate Republicans and Americans who live in the western United States. 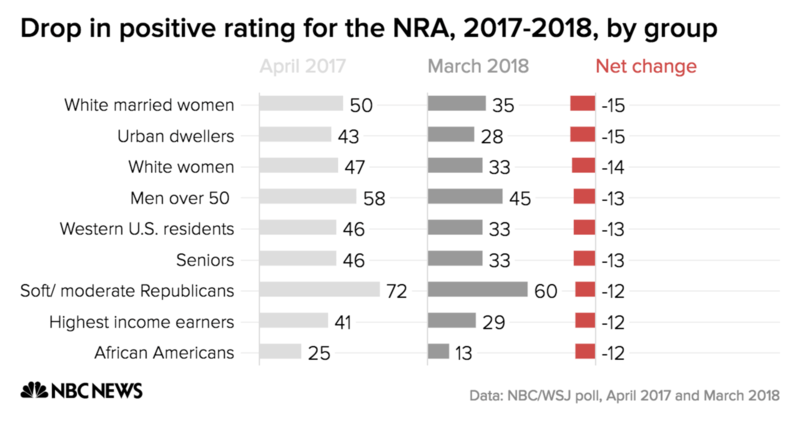 Here's a closer look at how the NRA's positive rating has fallen since last year.